Writer, Director, DOP, Editor. Produced by DFFB, 4 min, 1986. An experimental video based on pictures and sounds of construction work. 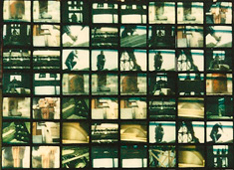 Documentary video material (all shot in close up´s) has been organized rhytmically by computers based on a composition made by a musician. Art Brut video music of a day at work. A classic of german video art of the 80s.